I recommend visiting Kagbeni village for a few days. You will be able to get to Kali-Gandaki easily from the road out of Kagbeni towards Jomsom. 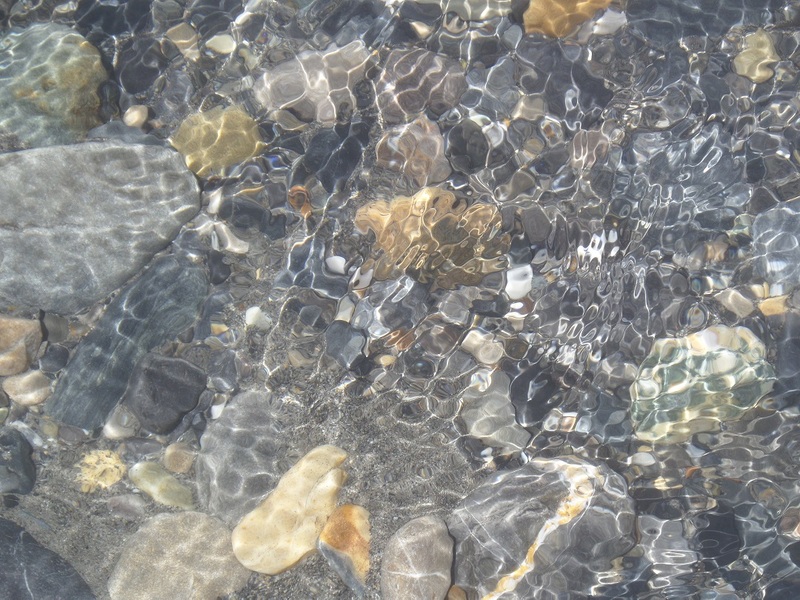 While doing trekking from Jomsom to Muktinath , doesn’t the Gandaki river comes along the way to Muktinath ? So , can’t we look into gandaki river for shaligram there? or Kagbeni is the perfect place for it? you have also posted some pics , where did you searched for shaligrams? Yes, you will see the Kali-Gandaki beginning in Jomsom but you will not find many Shaligrams in Jomsom because it is so far south from Upper Mustang. Kagbeni is the best place to search for Shaligrams because the river is very wide there and there are many Shaligrams that appear in that area. From Kagebeni to Muktinath however, you are going up the mountain and away from the river, so you will not be able to search for Shaligrams once you leave the Kagbeni area. I hope that helps. If you read my posts called “Never a Straight Line” and “A River Runs Through It” you will see photos of where I was searching for Shaligrams. 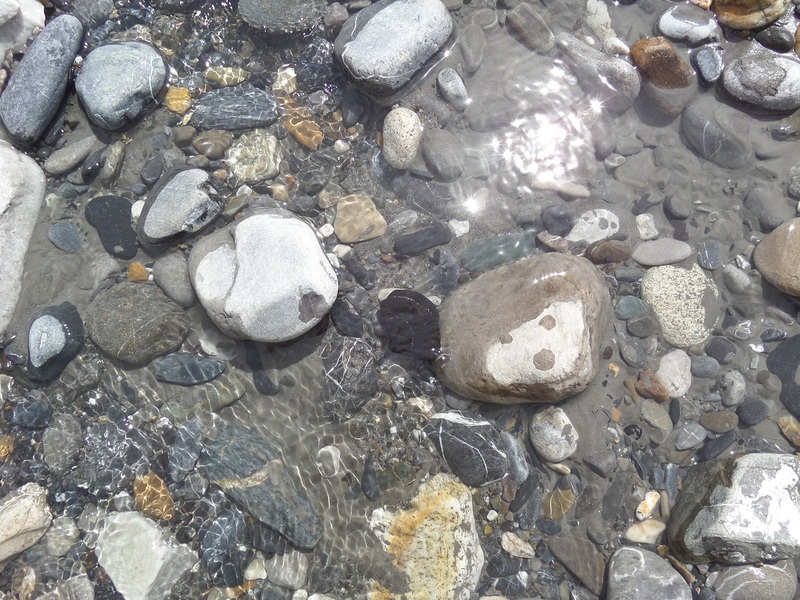 All of these photos were taken on the Kali-Gandaki river between Kagbeni and Tiri Villages. When are you going to Muktinath? Earlier I was planning to visit Muktinath in the month of January end but I have heard that at that time it is very cold . So, now I am thinking to go their after Mid March. also I was thinking to go directly to damodar kunda . I have heard that if you left one tulasi leave in the kunda then shaligram itself comes to take that tulasi leave , at that time you can catch the shaligram if you can otherwise shaligram will take that leave and move back into the kunda. And also the damodar kunda is the source of shaligram and gandaki also. in the above post by mistake I wrote leave instead of “leaf”. Yes, the Damodar Kund is the source of both Shaligram and the Kali-Gandaki. If you are planning to go there, please let me know how your trip goes! I was not able to go there this June because the permits to travel to Upper Mustang are very expensive. January will be very cold and snowy. Most pilgrims I met usually travel to Muktinath between March and July, before the monsoon rains come. yeah sure I will let you know . you find 9 shaligrams from the gandaki , you found all these in Kagbeni village ?. In how many days you found these shaligrams. you had hired one guide also , how much price did he took for it ? Yes, all the Shaligrams I found came from the Kali-Gandaki near Kagbeni village. I was in Kagbeni for about 2 weeks, but it only took me 3 days to find those 9 Shaligrams. I also had a guide with me, but I was in Mustang for over 2 months doing research on Shaligrams. Most pilgrims don’t hire guides unless they plan on going to Damodar Kund (because it is required). My guide was from Kathmandu and charged about $150 a week. Hello and welcome! Firstly, my advice for going on Shaligram pilgrimage would be to go with a group if you can, especially if you wish to go to Damodar Kund. The permits are very expensive and you must hire of guide into Upper Mustang. If you are unable to go all the way north to Damodar, one of the best places for searching for Shaligram is Kagbeni village. You can either stop in Kagbeni before you go on to Muktinath or you can go to Muktinath first and then go to Kagbeni on the way back towards Jomsom. If you start at Damodar, however, you will probably do Damodar Kund first and then come back towards Muktinath. Hopefully that helps! Lastly, I will be returning to Mustang most likely sometime in June. If anyone is in Nepal then, I would be happy to meet up. I am continuing to write a book about Shaligrams and I would love to talk with you about your experiences. Would it be acceptable for me to contact you by email? I am planning to travel to Nepal for collecting Shaligrams in the month of may end . I am Accompanying with one more person who travels every year there to collect shaligram from gandaki river for selling them. So, if you want to come, we can all plan and go together. I am still in the process of working out my travel plans, so I don’t have specific dates just yet. I will post them on this blog when I know. I am planning to visit Jonsom end of August 2016. Is that a good time to search for some saligrama? If yes what’s the best place to start? It is likely that I will also be in either Kagbeni or in the Jomsom area around the same time. August is a perfectly fine time to take Shaligram pilgrimage. You will arrive in Jomsom to start and from there you can travel to Kagbeni and Thini villages where you can find Shaligram in the river nearby. You can also take a day or two and travel up to Muktinath if you have the time. Best of luck! Great. I have max 3 days for the saligrama trip as I have to be somewhere else after that. It’ll be around 19-20 August 2016. Where r u based? It will nice to know about saligrama from you. Is Email an option? Mine is sreekanthrayalu@hotmail.com. Please feel free to correspond when free. I expect to be in the Kali-Gandaki region for several months. I usually work out of Ranipauwa, but I will likely be in Kagbeni by late August. Feel free to contact me at prolegomenon@gmail.com. Cheers! while I was going through your blogs , I found two notebook pages (pics) in which we can identify the name of Shaligram according to the markings. can you Please post all the pages here , I also want to go through that. The notebook in question is currently being worked on and will form a significant portion of my published work when it is completed. My hope is to be able to publish a comprehensive guide to Shaligrams along with a book about pilgrimage to Kali-Gandaki. As such, it is far to long for me to be able to post pictures of every page. Is there a particular Shaligram you are interested in? I might have a sketch/photo and description of it. I have some shaligrams at my home .. If I will send you the pics then can you tell me the names of shaligrams? Yes, I am more than happy to. And if I don’t know I will consult with other experts who have helped me identify Shaligrams in Nepal. You can send the photos to: prolegomenon@gmail.com and I will see what I can do. That sounds like an excellent plan. By the looks of things, I will likely be returning to Kagbeni/Muktinath at the end of June. Hopefully everything works out for you. I am happy to offer any advice if needed. Hi VJ! I just left Kagbeni a few days ago sadly and just arrived back in Kathmandu. I will be here for some time working on the book about Shaligrams and if you have some time (by email is also fine) I would love to talk to you more about your Shaligram pilgrimage. Best of luck on your trip also! It is monsoon right now, so please be careful, but I think you will find the Kali-Gandaki to be very lovely. It is such a pleasure reading your blog.My name is Sangharsh and i am from hyderabad.I visited Muktinath last year October (during pitr paksh days).Your field of study is very fascinating.Your blog gives me a daily breather from my responsibilites of leading a team.reminds me of the beautiful mountains,Muktinath, Kaligandaki and oooh so wonderful Saligrama silas.I plan to travel to Muktinath end of september.Would love to meet you and speak more about Saligrama Silas and of course the mountains.I have a Ganesha Saligrama which i picked up along with 3 other Saligramas last year.Why is it that i do not see much about Ganesh Saligrama on your blog.What does your study say about non Vishnu Sligrama`s like Ganesha Saligrama. I am so happy to hear that you are enjoying the blog! I want to make it as useful for Shaligram devotees as I can. I am currently in Kathmandu completing some archival work, but if you have a day or two in Kathmandu on your way up to Muktinath, I would be more than happy to meet you and talk about Shaligrama! If that doesn’t work for you, I am also always available via email at prolegomenon@gmail.com. To your question about Ganesh Shaligrams, I actually did find one during my last visit to Kali-Gandaki in June. I have since given it to another pilgrim who was looking for one as well but my work focuses on all types of Shaligrams. I have worked with Shiva Shaligrams, Kubera Shaligrams, Ganesh and Anirruda Shaligrams, along with the many Dasavatara Shaligrams. Thank you for mentioning them, I will make sure to discuss the different kinds of Shaligrams more specifically here next time. Thank you for your quick reply.I would love to meet you.Will keep you posted about my itenary. Thank you for the update! And thank you also for the links, these are wonderful. Are we allowed to collect salagrama shilas from river Gandaki? Are there any rules prohibiting non-Nepaleese from hunting the shilas? I am told that it is mandatory to have a bill as a documentary evidence that the shilas are purchased in a store at Nepal? I have undertaken Shaligram pilgrimage three times now and it has not been my experience that Shaligrams must be purchased. You can certainly purchase Shaligrams from local sellers if you would like to (they might have a specific Shaligram you are looking for), but you can also go directly into Kali Gandaki and look for yourself (which is what I do). I have never had problems finding Shaligrams on pilgrimage and taking them with me when I leave (I am neither Nepali nor Indian). The only trouble you may encounter is in going to Damodar Kund, if that is where you want to go. Upper Mustang requires special permits to travel and those permits are very expensive. But if your plan is to go on Shaligram pilgrimage to Muktinath, you shouldn’t have any problems. I will go Mukhtinath on 26th March 2017. From Pokhra to Jomson by flight. Please let me know from where I can collect Shaligram shila. Also how to go that place. Is tis good time to get Shaligrm shila. Waiting for your reply. Hi Jayanta! I am actually up at Muktinath now (My apologies, but my internet connection is very poor here. So it takes me a long time to respond). The best place for you to collect Shaligrams on your own is at the village of Kagbeni. There are several places out on the Kali Gandaki River where you can go to find them either north or south of the village. I should actually be in Kagbeni at the same time and if you want, I am happy to help you for a day or two. I can most easily be found at the New Annapurna Hotel in Kagbeni (near the river). Best of luck! I will be there 27th March at Jomson. I will there for one day. Can You help me to collect Shaligram. Is one day is sufficient to collect shaligrams. Please let me know how to contact with you. I will be staying at Jomson. My apologies, but I won’t be in Jomsom. I will be up further north in Kagbeni at that time. 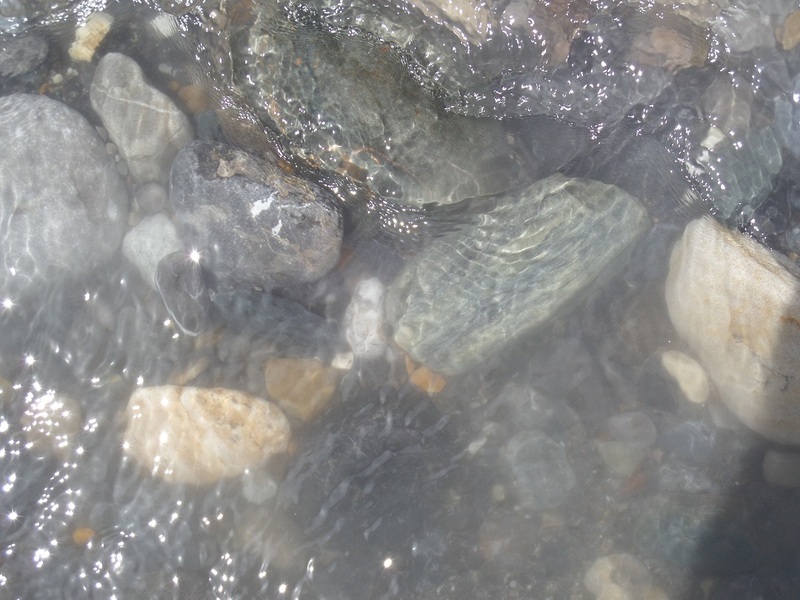 However, you can still search for Shaligrams in Jomsom. Follow the main road past the army base and across the river. Once you cross the bridge, turn left and follow the road all the way to the jeep stand. Pass the jeep stand until you are on the edge of town and then you can turn right directly onto the banks of the Kali Gandaki River. With one day to search, you should be able to find a couple of Shaligrams, though they will likely be smaller in size. Few Shaligrams come down as far as Jomsom. Good luck! I will come to Kagbeni on 27th march. With the help of you I can collect the shaligram. I will come to Jomson on 27th march then I will come to Kagbeni to meet with you. Need help to collecting Shaligram. Please share your contact details so that I can contact with you. Please let me know how cold is this place. Please let me know when and where you will available at kagbeni. I will go with you to search and collect shaligrams. My apologies once again, the mobile tower was knocked out in a blizzard and we have been out of all communications for over a week. Because of this, I have actually had to return to Jomsom. I would be happy to meet you there. You can find me at the Lo Monthang Guesthouse across from the airport. I am glad that I came across your blog. It is very well detailed out. ( Depends on the Lord’s mercy). Your blog further ignited my desire to take that elusive pilgrimage to the sacred Kali Gandaki. My wife and I intend to visit there either in first or second week of May this year. It is clear from what you have mentioned that one’s best chances of finding Shaligrams is near Kagbeni. So we intend to station ourselves at Kagbeni for atleast 2-3 days. In this context would you be able to recommend a homestay as we are strict vegetarians being Vaisnavas and we don’t eat food cooked by others. So staying in conventional GH or Motels is a litttle difficult where non-veg is cooked. Secondly, would you recommend us a local guide who could help us with our Shaligram search and perhaps a possible trek upto Muktinatha. Because unless we are in a big group, can’t possibly think of going to upper Mustang till Damodar Kund. And in case you happen to be there around that time, we would also love to meet up with you to have some exchanges on Shaligram worship, if your schedule permits you so. I wish to travel to Muktinath in August 2017 . I was hoping to collect Saligramams from Kali Gandaki river at Kagbeni however, I was informed by my travel agent that it is illegal to collect Saligramams from the river. Has anyone been there recently and collected Saligramams? If collecting the Saligramams is illegal, where could we purchase them? Namaste Chetana! 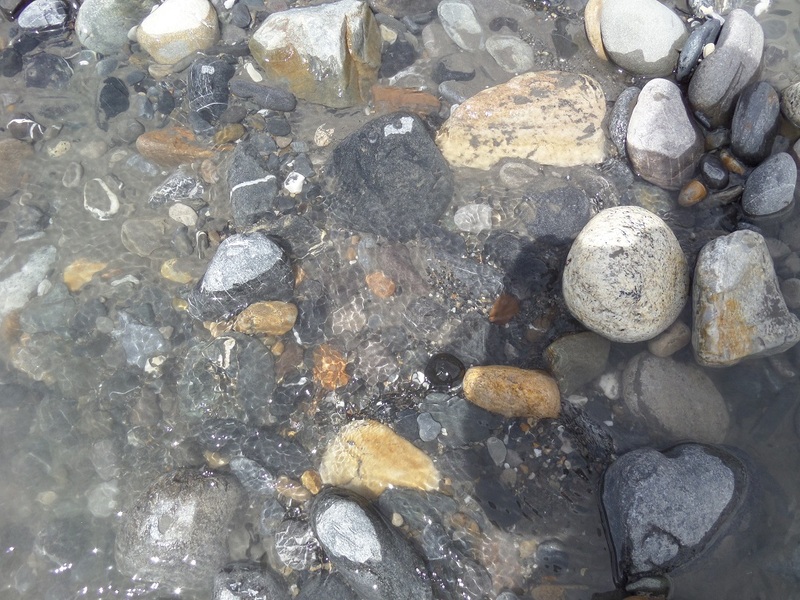 Yes, you can collect Shaligrams from the Kali Gandaki. It is not illegal. In fact, a great many pilgrims collect Shaligrams near Jomsom and Kagbeni every year. I lived in the region for many months and was there up to April of this year. I never had problems with any local authorities regarding Shaligrams. If you want, however, it is also possible to purchase them. There are many Shaligram sellers in Mustang (Jomsom, Kagbeni, and Muktinath) for pilgrims searching for a specific shila. I have posted a short pilgrimage guide on my last entry here if you have some additional questions.